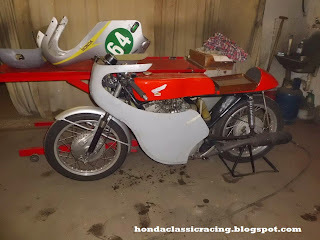 Had one of my dad's CB72 racers out to testfit a CR93 fairing that I have for sale, someone wanted to know how it would fit a CB72. Fits it quite nicely I would think. 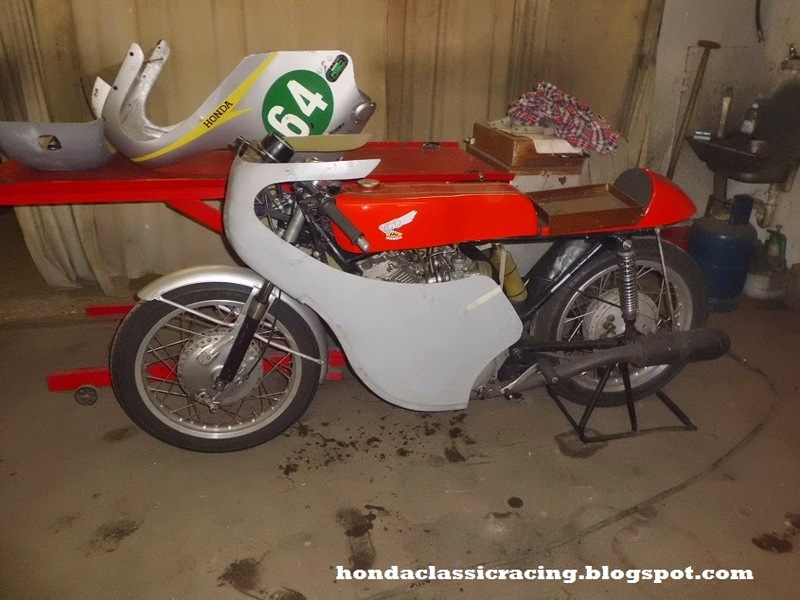 And then we rearranged some of the workshop, what meant that another CB72 came out of a dark corner, making me want to start this project. 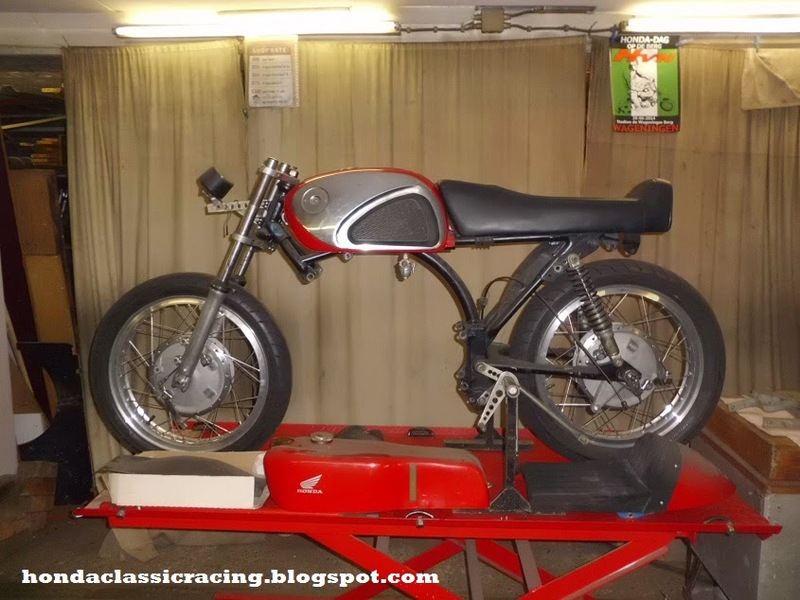 Not with original tank and (replica) CYB seat as seen here, but with something more like a CR72 tank, period correct and with a lot of home made castings and other replica parts, and even some originals. As I have collected some CYB72 stuff over the years. I have, or can build many of the small parts, the tank will pretty much be the only part I really don't have any idea of where to find or how to built yet.